Click to view & Download the Hill Day Flyer. 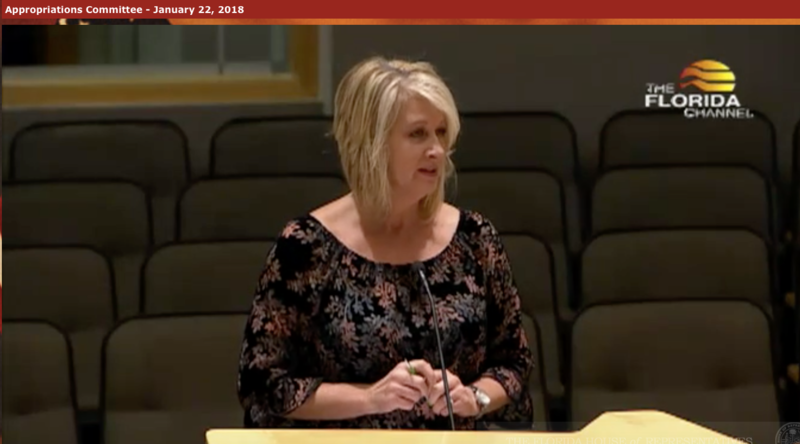 OTs Testify in Tallahassee --Session 2018: As facilitated by our lobbying firm Corcoran & Johnston, and our Governmental Affairs Co-Chairs, Sharon Rosenberg and Kelly Uanino, OT testimony was arranged at Senate and House hearing in Tallahassee the week of Jan 22nd through 26th, 2018. These events follow a successful Hill Day Event in the State's Capitol on January 10th. 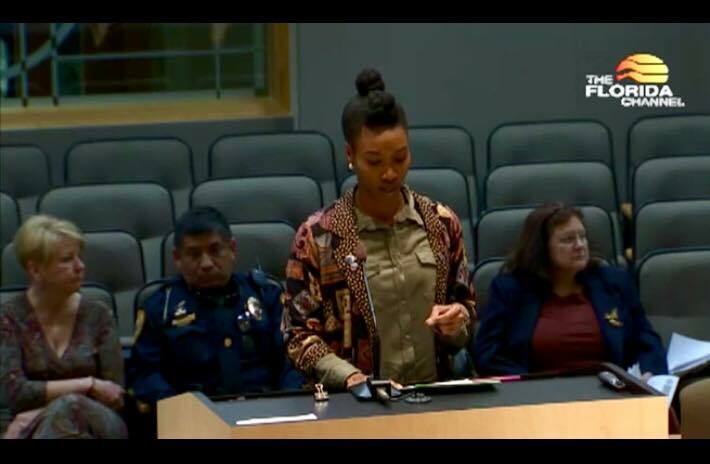 Occupational Therapist Tammy McKenzie Testifies on behalf of FOTA at the House Appropriations Committee met on January 22, 2018 to discuss HB 21 --Controlled Substances. 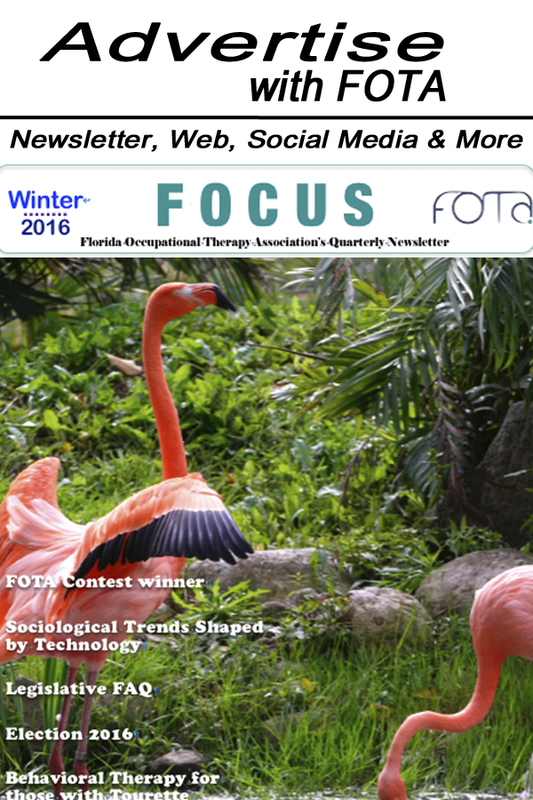 Tammy McKenzie, Florida Occupation Therapy Association, spoke to provide information. As an occupational therapist, it is their job to teach skills needed throughout life. When looking with their clients on how to do that, they have to provide meaning in life. When treating those that have/had an addiction, they can lose their way. They examine how these addictions can cause loss of identity and drive for independence success. These losses create increased dependency, which is a burden to our society, secondary to the burden of dependency to drug and alcohol. They encourage the legislature to include non-pharmaceutical treatments, such things as occupational therapy. 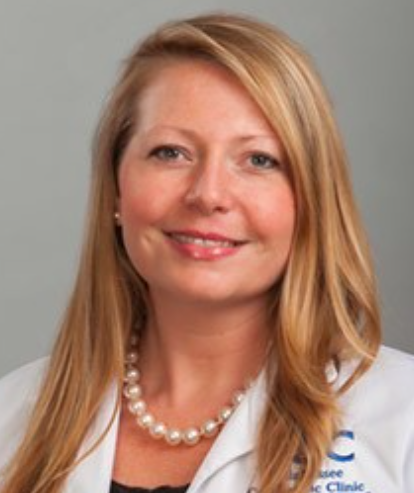 Sharon Rosenberg OTR/L Government Affairs Co-Coordinator: Sharon Rosenberg earned her undergraduate degree in Health Science and Rehabilitation Services at the University of Florida in 2006 and Master of Science in Occupational Therapy at Florida A&M University in 2011. Sharon has worked in the outpatient setting as a rehab techsince 2001 and has aspired to be a hand therapist since 2006 while working with Dori Catalano OT/CHT at Tallahassee Orthopedic Clinic. Kelly Uanino, OTR/L, CLT, Government Affairs Co-Coordinator: Kelly Uanino is a registered and licensed occupational therapist who earned a bachelors of arts degree from Rutgers University in 2005 in sociology and a Masters of occupational therapy degree from the University of St. Augustine in 2011. Prior to becoming an occupational therapist Kelly spent several years working as a social worker, special education teacher, and was project manager for an NIMH study on group home care in the state of North Carolina. 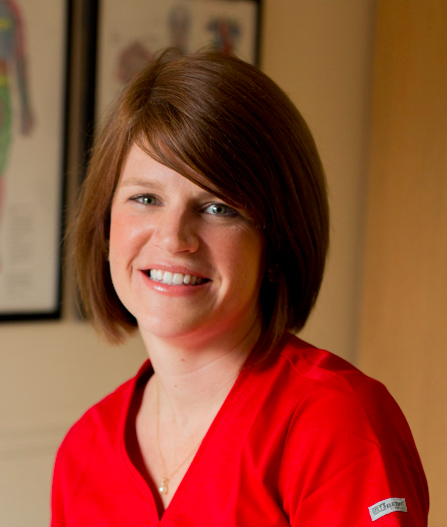 Since becoming an occupational therapist Kelly has specialized in oncology rehabilitation with certification in lymphedema therapy. Kelly and Sharon live and work in Tallahassee, FL. They’ve have been working in conjunction with the former Government Affairs Coordinator, Barbara Ingram-Rice, to change access to occupational therapy services for State of Florida employees and their families. Kelly and Sharon are excited to continue this effort and all efforts to protect our profession, grow coverage of our services, and to educate our policy makers on the unique role of occupational therapy services across the lifespan. FOTA welcomes Corcoran & Johnston as our lobbying firm. They have been recognized as one of Florida’s top lobbyists by Florida Trend Magazine (March 2013) and ranked in the top Florida Lobbyists by Sunshine State News in October 2013 and June 2014. With offices in Miami and Tampa, and several lobbyists in the firm, we look forward to lots of attention to FOTA advocacy and a very productive relationship.